In September, AEE Members and our Ohio team met with Richard Cordray, Democratic gubernatorial candidate, to build support for policies that accelerate the adoption of advanced energy resources and growing the number of good paying jobs in Ohio. The business representatives discussed policy mechanisms and regulatory initiatives that a Cordray administration could utilize to ensure that Ohioans reap the economic benefits and cost savings of advanced energy technologies. Although the advanced energy sector employs 112,000 Ohioans, much more can be done to capture the rapid growth of the industry. 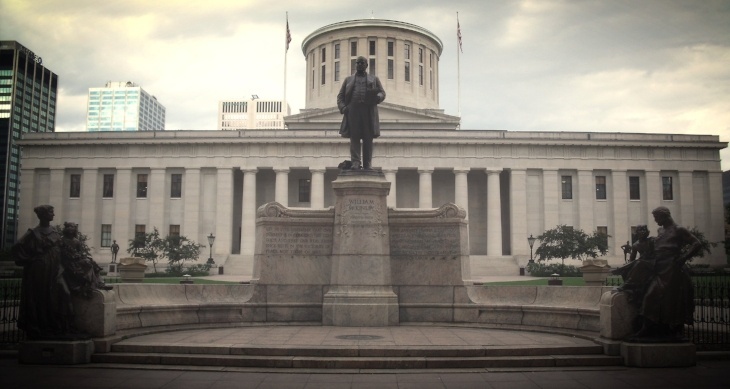 Signaling his desire to reset Ohio’s energy trajectory, Cordray outlined the importance of assembling a team of advisors and appointees that would be able to work collaboratively and creatively to reduce barriers that have hindered investment opportunities in Ohio. Cordray outlined how his energy strategy would provide Ohio’s businesses with policy certainty, which has been lacking for the past several years. Understanding that energy plays a critical role in business development in Ohio, the group encouraged Cordray to fix Ohio’s restrictive wind setback requirements, stabilize and possibly expand the state’s RPS, improve the state’s efficiency programs, and appoint strong PUCO commissioners that will continue building upon the grid modification proceeding, PowerForward, to ensure Ohio’s infrastructure is adequately prepared for the technological advancements that are coming. Using the power of the executive, Cordray stated his intent to work in a bipartisan fashion. Noting his work as the head of the federal Consumer Financial Protection Bureau, Cordray said he would embrace policies that would work best for all Ohioans. To close out the meeting, the businesses participating offered their resources and expertise to assist and advise Cordray, should he be elected, during the transition and throughout his term as governor. Ohio AEE met with Republican gubernatorial candidate Mike DeWine in March.